A Virginia drunk driver smashed into another vehicle on Interstate 64, leading to the death of one person and injuries to several others, reported the Associated Press. The drunk driver faces criminal charges for involuntary manslaughter as a result of this incident. This automotive accident occurred in the evening of November 9th in Hampton, Virginia. That is when the drunk driver attempted to merge his truck into another lane on the highway. But the drunk driver did not see a sedan that was stopped on the shoulder and attempting to merge into the same lane at the same time. When the drunk driver’s truck crashed into the sedan, the damage was catastrophic. A 19-year-old passenger in the sedan died as a result of her injuries. The other three people in the sedan, as well as the drunk driver and his passenger, suffered minor injuries. Medical personnel were able to treat all of the minor injuries without any apparent complications. In the aftermath of this fatal accident, Virginia authorities charged the drunk driver with involuntary manslaughter. While the drunk driver awaits his day in court, this seems like a great opportunity to review the Virginia laws and penalties concerning involuntary manslaughter. The definition of involuntary manslaughter appears in Code of Virginia Section 18.2-36.1. Involuntary manslaughter applies when a person drives under the influence of alcohol or drugs and causes the death of another person. For involuntary manslaughter to apply, the drunk driver must unintentionally kill another person. Otherwise, the offense becomes voluntary manslaughter. In terms of penalties, involuntary manslaughter is classified as a Class 5 felony under Code of Virginia Section 18.2-36. The usual punishment for a Class 5 felony in Virginia includes the possibility of one to 10 years in prison and $2,500 in criminal fines. Additionally, Virginia will revoke the driver’s license of any person convicted of involuntary manslaughter. What is Aggravated Involuntary Manslaughter? The definition of aggravated involuntary manslaughter appears in Section 18.2-36.1. The aggravated version of this offense applies when the driver was so reckless that they demonstrate a complete disregard for human life. If a drunk driver kills another person while behaving in this type of careless manner, they are guilty of aggravated involuntary manslaughter. In terms of penalties, aggravated involuntary manslaughter is a felony offense under Section 18.2-36.1. The punishment for this felony offense includes imprisonment for one to 20 years. Furthermore, Virginia will revoke the driver’s license of any person convicted of aggravated involuntary manslaughter. 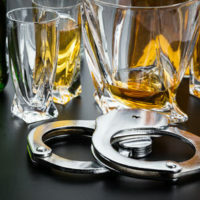 If you are facing criminal charges for a DUI-related offense in Virginia, it is helpful to reach out to a seasoned criminal defense attorney. The attorneys at Simms Showers LLP have extensive experience helping clients fight against a variety of criminal charges, including DUI and involuntary manslaughter. If you need legal help with criminal defense, contact us today for a free initial consultation.